UFC made the hugest mistake of their life by not inviting the Diaz brothers to Saturday’s UFC 209. However, they didn’t disappoint their fans. If you caught Saturday’s UFC 209, then you likely noticed that two of the best athletes did not attend. Indeed, it seems as though the Diaz brothers did not receive an invite. However, fans still were able to meet-and-greet with Nick and Nate at a local cannabis dispensary. Of course, there’s been some apparent conflict between UFC and the Diaz brothers. But what’s more obvious is that UFC is only hurting themselves by attempting to shut down the two most powerful fighters in the game. 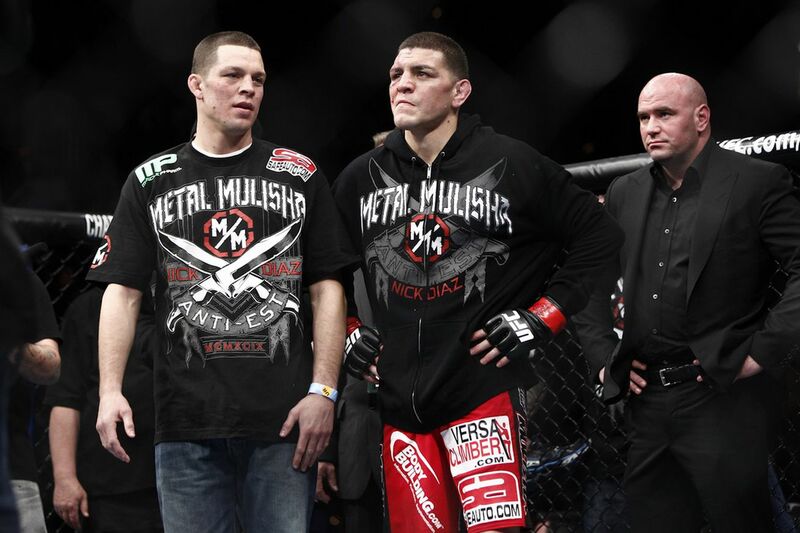 Everyone knows there is constant attention surrounding Nick and Nate Diaz. Not just because they’re excellent at fighting and the fans love them, but also because of their obvious interest in Mary Jane. For this reason, UFC made the hugest mistake of their life by not inviting them to Saturday’s UFC 209. This point, in particular, became apparent to UFC officials on Friday while they staged a public weigh-in. During the weigh-in, some unfortunate news came to light. As it turns out, Khabib Nurmagomedov became ill while trying to make weight for his fight against Tony Ferguson. They don’t want us any bigger than we are, they try to shut us down. I don’t know what it is. I’m still here after all the holding back I’ve been through. And my brother. We’ve fought everybody, did everything and they’re saying I’m still the most troubled? After Nate was caught puffing on a weed-friendly vape pen during his UFC 202 post-fight news conference, UFC was not happy. But to their fans, the Diaz’s open love for the herb is what makes them real. Roughly 18 months following Nick’s suspension from fighting for five years, which was due to testing positive for cannabis, the brothers arrived at Blum cannabis dispensary near the Las Vegas Strip on Friday. We’ve got a drug that’s showing a tremendous amount of advocacy for a variety of ailments and there’s not a lot of professional athletes who are willing to step up and say something. They’re doing so under the shadows of night. It’s about who’s willing to speak up. I’ve been a game-changer. … Everybody’s following me now, demanding the money fight.